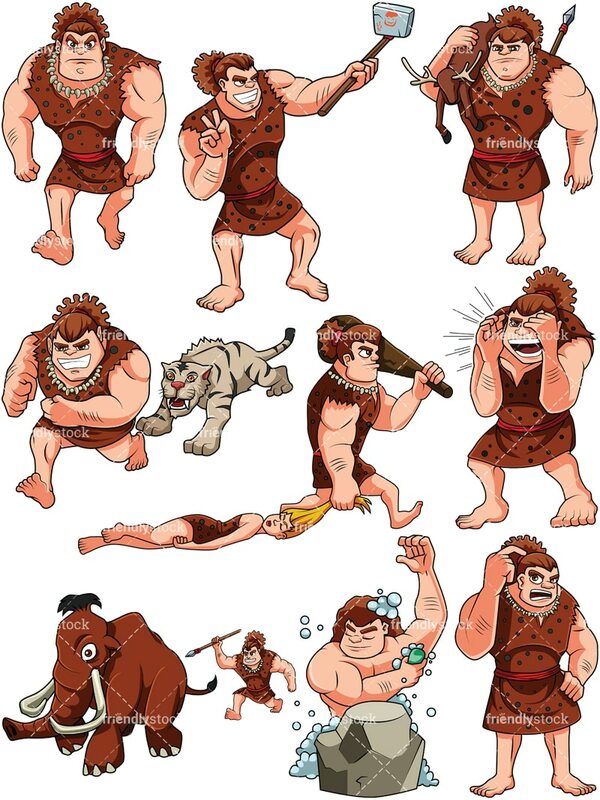 Royalty-free stock illustration of a cave man trying to run away from a wild animal chasing and attacking him. Royalty-free stock illustration of a cave man holding a dear on his shoulder that he previously hunted with his spear in order to feed. 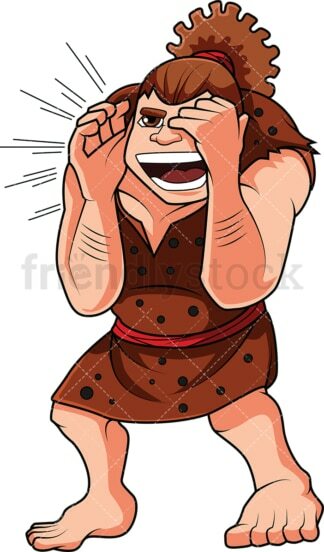 Royalty-free stock illustration of a cave man shouting with everything he’s got! Royalty-free stock illustration of a cave man walking straight with a fierce look on his face. 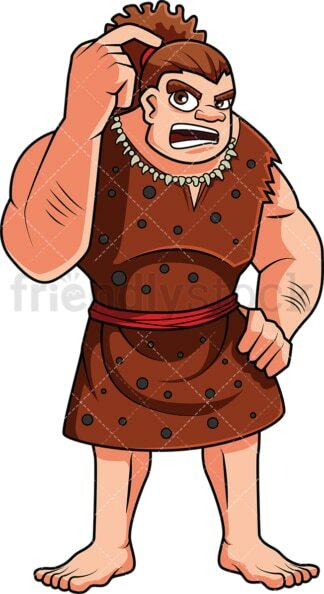 Royalty-free stock illustration of a cave man taking a selfie with a primitive mobile phone made of stone. 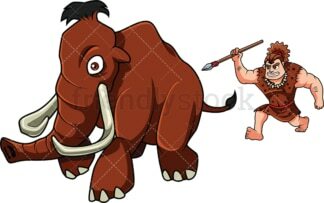 Royalty-free stock illustration of a cave man running after a big mammoth while holding his spear, attempting to either hunt or scare it away. Royalty-free stock illustration of a cave man scratching his head in confusion. Royalty-free stock illustration of a cave man pulling a blonde cavewoman by the hair while holding a bat on his shoulder. 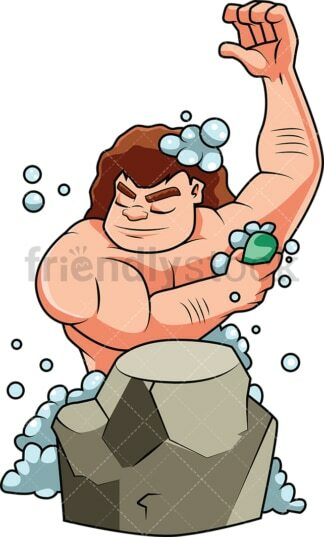 Royalty-free stock illustration of a cave man showering behind a rock for privacy.